Peter Finn, Carol D. Leonnig, and Will Englund, “Tsarnaev brothers’ homeland was war-torn Chechnya,” Washington Post, April 19, 2013, https://www.washingtonpost.com/politics/details-emerge-on-suspected-boston-bombers/2013/04/19/ef2c2566-a8e4-11e2-a8e2-5b98cb59187f_story.html. Tamerlan died several days later following a shootout with police.Majority Staff on the Committee on Homeland Security, “The Road to Boston: Counterterrorism Challenges and Lessons from the Marathon Bombings: House Homeland Security Committee Report,” March 2014, 19. His brother Dzhokhar was apprehended and sentenced to death in May 2015.Milton J. Valencia and Patricia Wen, “Tsarnaev guilty on all counts in Marathon bombings,” Boston Globe, April 8, 2015,https://www.bostonglobe.com/metro/2015/04/08/tsarnaev-jury-begins-second-day-deliberations/t7KplwR18hH1RSuX1BQohM/story.html. On the day of the attack, the Tsarnaev brothers placed two pressure-cooker bombs near the marathon’s finish line. Each device “killed at least one person, maimed, burned and wounded scores of others, and damaged public and private property,” according to the criminal complaint filed against Dzhokhar.“United States of America v. Dzhokhar Tsarnaev,” United States District Court for the District of Massachusetts, April 21, 2013, http://www.justice.gov/iso/opa/resources/363201342213441988148.pdf. Three days after the bombings, on April 18, the brothers killed police officer Sean Collier, used his gun to carjack a vehicle, and fled to Watertown, Massachusetts, west of Boston.“United States of America v. Dzhokhar A. Tsarnaev a/k/a/ ‘Jahar Tsarni,’” United States District Court for the District of Massachusetts, June 27, 2013, http://www.justice.gov/sites/default/files/usao-ma/legacy/2013/06/27/Indictment1.pdf. There, police officers exchanged fire with the brothers and shot Tamerlan in the process. Tamerlan was taken to a local hospital and died that night from injuries sustained in the shootout.Majority Staff on the Committee on Homeland Security, “The Road to Boston: Counterterrorism Challenges and Lessons from the Marathon Bombings: House Homeland Security Committee Report,” March 2014, 19. Majority Staff on the Committee on Homeland Security, “The Road to Boston: Counterterrorism Challenges and Lessons from the Marathon Bombings: House Homeland Security Committee Report,” March 2014, 10. Russell gave birth to their daughter that October.Majority Staff on the Committee on Homeland Security, “The Road to Boston: Counterterrorism Challenges and Lessons from the Marathon Bombings: House Homeland Security Committee Report,” March 2014, 10. In March of 2011, the Russian Federal Security Service (FSB) asked the FBI to monitor Tsarnaev, worried that he was an extremist and would attempt to travel to Russia to carry out an attack. The FBI opened an investigation and interviewed Tsarnaev, but did not find any links to terrorism.Majority Staff on the Committee on Homeland Security, “The Road to Boston: Counterterrorism Challenges and Lessons from the Marathon Bombings: House Homeland Security Committee Report,” March 2014, 11-2. Nevertheless, the FBI ordered Customs and Border Protection (CBP) to alert the Bureau if Tsarnaev passed through U.S. customs. Tsarnaev triggered the CBP alert in January of 2012 when he flew to Moscow, though the FBI was not contacted due to the high volume of individuals the CBP was monitoring that day. A secondary CBP alert was not triggered upon Tsarnaev’s return to the United States in July because his last name had been incorrectly spelled in the CBP system.Tom Winter, “Russia Warned U.S. About Tsarnaev, But Spelling Issue Let Him Escape,” NBC News, March 25, 2014, http://www.nbcnews.com/storyline/boston-bombing-anniversary/russia-warned-u-s-about-tsarnaev-spelling-issue-let-him-n60836. According to the Congressional report to the Committee on Homeland Security, Tamerlan spent time in Makhachkala, Dagestan, during those six months in 2012 and may have come into contact with extremists.Majority Staff on the Committee on Homeland Security, “The Road to Boston: Counterterrorism Challenges and Lessons from the Marathon Bombings: House Homeland Security Committee Report,” March 2014, 13-4. Authorities say it is possible that Tamerlan communicated with Russian extremist Nadirshakh Khachilaev, the founder of a Makhachkala mosque who had reportedly previously facilitated al-Qaeda leader Ayman al-Zawahiri’s travel to Dagestan in 1997.Majority Staff on the Committee on Homeland Security, “The Road to Boston: Counterterrorism Challenges and Lessons from the Marathon Bombings: House Homeland Security Committee Report,” March 2014, 14. Upon his return to the United States in July 2012, Tsarnaev began following extremists on social media and watching videos of Chechen jihadists on YouTube. He appeared “intrigued by the jihadist rebels in the Caucasus” and might have been “inspired by their general ideology,” according to a Congressional report.Majority Staff on the Committee on Homeland Security, “The Road to Boston: Counterterrorism Challenges and Lessons from the Marathon Bombings: House Homeland Security Committee Report,” March 2014, 16. 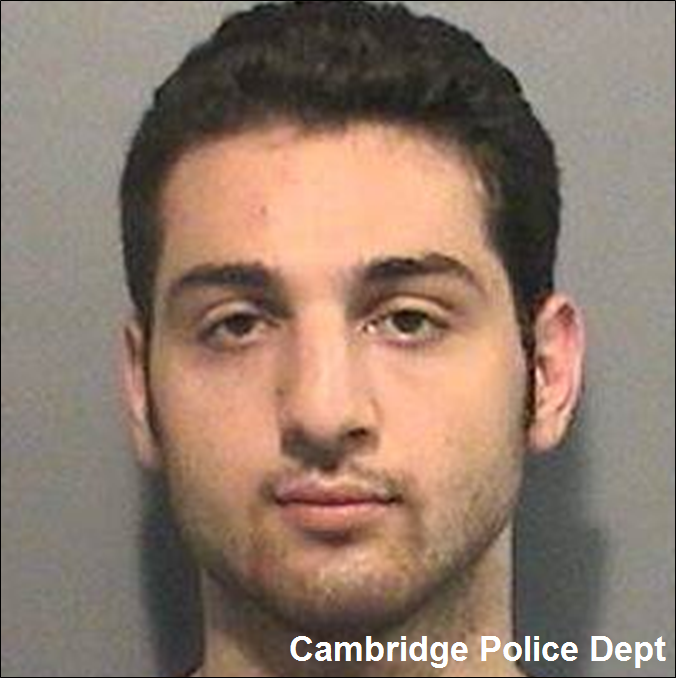 He reportedly began yelling out during sermons at the mosque he attended—angry when the imam celebrated American holidays or praised Martin Luther King, Jr.CNN Staff, “Timeline: A look at Tamerlan Tsarnaev’s past,” CNN, April 22, 2013, http://www.cnn.com/2013/04/21/us/tamerlan-tsarnaev-timeline/. Ian Black, “Inspire magazine: the self-help manual for al-Qaida terrorists,”Guardian (London), May 24, 2013,https://www.theguardian.com/world/shortcuts/2013/may/24/inspire-magazine-self-help-manual-al-qaida-terrorists. Tamerlan TsarnayevTom Winter, “Russia Warned U.S. About Tsarnaev, But Spelling Issue Let Him Escape,” NBC News, March 25, 2014, http://www.nbcnews.com/storyline/boston-bombing-anniversary/russia-warned-u-s-about-tsarnaev-spelling-issue-let-him-n60836. Muaz TsarnaevMaria Sacchetti, “Federal files leave questions about Marathon bomber, friend,” Boston Globe, February 28, 2016, http://www.bostonglobe.com/metro/2016/02/28/homeland-security-releases-immigration-files-deceased-marathon-bomber-and-friend/Byftvg8GyYhe8i431mMmmM/story.html?event=event12. Tamerlan Tsarnaev was an ethnic Chechen, Russian citizen, and Massachusetts resident who carried out the Boston Marathon bombings alongside his younger brother Dzhokhar Tsarnaev on April 15, 2013.